Brian Knight has worked in social and architectural history in New England since 1997. He received a B.A. in Political Science and M.S. in Historic Preservation from the University of Vermont.As a 36 CFR Part 61 qualified consultant, he specializes in cultural resource research, documentation, and evaluation. Through his work with architectural surveys, National Register nominations, visual impact studies and tax rehabilitation applications, Mr. Knight consistently follows the Secretary of the Interior’s Standards for the Treatment of Historic Properties. Mr. Knight also possesses experience in education, non-profit management, museum interpretation and archives/library management. He served on several museum, historical society and planning boards. 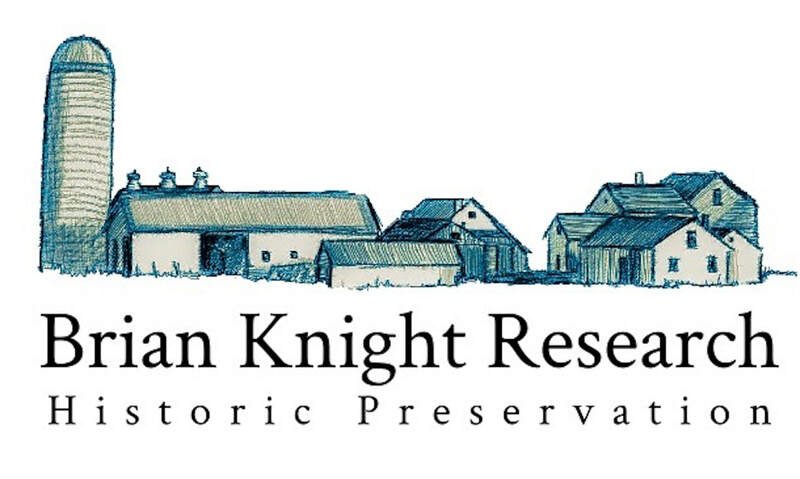 Over the last seventeen years, Mr. Knight’s historic preservation experience included private non-profits and government agencies at the local, state and national level. In addition to his extensive Vermont work, Mr. Knight subcontracted for several regional private sector firms, with projects in New York, Massachusetts, New Hampshire and Maine. Relevant projects included a neighborhood survey for Bennington, Vermont and a survey of modernist buildings in Burlington, Vermont. 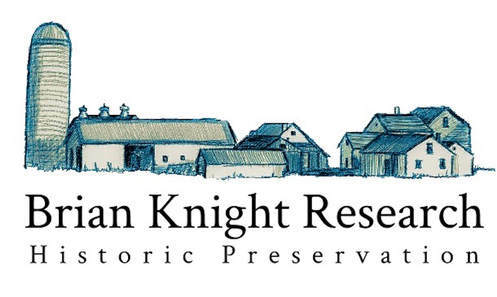 While working for the Massachusetts Historical Commission, Mr. Knight served on the National Register evaluation committee to determine National Register eligibility for cultural resources. The committee reviewed thematic state-wide resources such as the educational buildings, bridges and the diners.Through the federally funded survey program, Mr. Knight worked with approximately fifteen communities annually. For preservation planning projects, he assisted with scopes of works and budgets, and reviewing the National Register nomination forms/inventory forms. Mr. Knight worked with municipal officials, non-profit organizations and private consultants to ensure that this work was completed satisfactorily. Mr. Knight's work followed the Secretary of the Interior’s Standards for the Treatment of Historic Properties. He managed over 150 preservation projects including window restorations for museums, new additions to town halls, preservation plans for Italianate gardens and the restoration of Tiffany stained glass windows. He oversaw historic structure reports, feasibility studies and condition assessments. Mr. Knight determined successful applicants, educated grantees about grant program requirements, developed scopes of works and budgets, evaluated and approved work samples and project close-out. Mr. Knight managed Federal grant programs such as Save America’s Treasures and the National Maritime Grant Program. Through the latter, he was exposed projects such as the repair of a diesel engine on a historic life saving vessel and the replacement of the decking on the U.S.S. Massachusetts, a World War Two battleship. From 2001 to 2003, Mr. Knight was the Executive Director for Preservation Burlington, a private non-profit organization that focuses on the preservation of the built environment and the enhancement of the quality of life for Burlington, Vermont. Through this work, Mr. Knight has an array of duties including the creation of walking tour brochures, the coordination of an annual house tour and researching Burlington’s historic properties. From 2003-2009, Mr. Knight was the curator for Hildene, The Lincoln Family Home in Manchester, Vermont. Hildene was the summer home of Robert Todd Lincoln, the oldest son of Abraham Lincoln. He developed policies, standards, and programs pertaining to preservation, stewardship, development, use, and interpretation of 412-acre site with 1905 Georgian Revival home, carriage barn, 1908 observatory, two 18th Century farmhouses and their associated agricultural outbuildings (smokehouse, corn crib, pony barn, greenhouse, silos). Mr. Knight held responsibility for Lincoln Family Library and Research Center, consisting of four generations of Abraham Lincoln family books, papers and documents.